As an AEO-certified freight forwarder, Ritra Cargo uses advance declarations. This means the import declaration is submitted to customs before the goods arrive in the harbour. That way, it will sooner be clear to shippers whether the declaration has been approved. This information can result in days of time gained, especially if a shipment is selected for a customs check. What is an advance declaration? 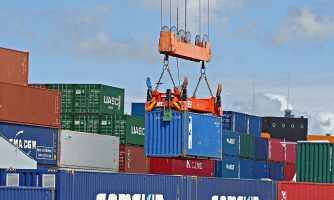 Advance declarations can be drawn up as soon as all the documentation connected to a shipment has been completed and provided to the customs declarant. These are the same documents that need to be submitted for the import declaration, such as the invoice and possibly Form A. Through advance declarations, freight forwarders and shippers will be able to make preparations before the arrival of the goods. In most cases, this means the transport can be scheduled a significant time in advance. Once the declaration has been approved, the shipment will generally be released right after the arrival report. This can make a significant difference, especially in a time where the cargo capacity in road transportation is an ongoing problem. On the other hand, a shipment may also be selected for a physical check. In that case, the freight forwarder can immediately schedule an appointment with customs, so the goods can be checked as soon as possible after arrival. In case of a document check, the required documents can be collected and submitted to customs in advance. That way, delays are kept to a minimum. Knowing whether the declaration has been approved beforehand is not just convenient for your own organisation. Thanks to advance declarations, the extradition may take place days earlier. This time gain is a great benefit for shippers, especially when they are on tight deadlines. Want to make use of advance declarations too? We can draw up an advance declaration for your shipment, too. In that case, our customs declarants require the usual shipment-related documents from you. Once the documentation has been completed, we can get to work on your advance declaration.